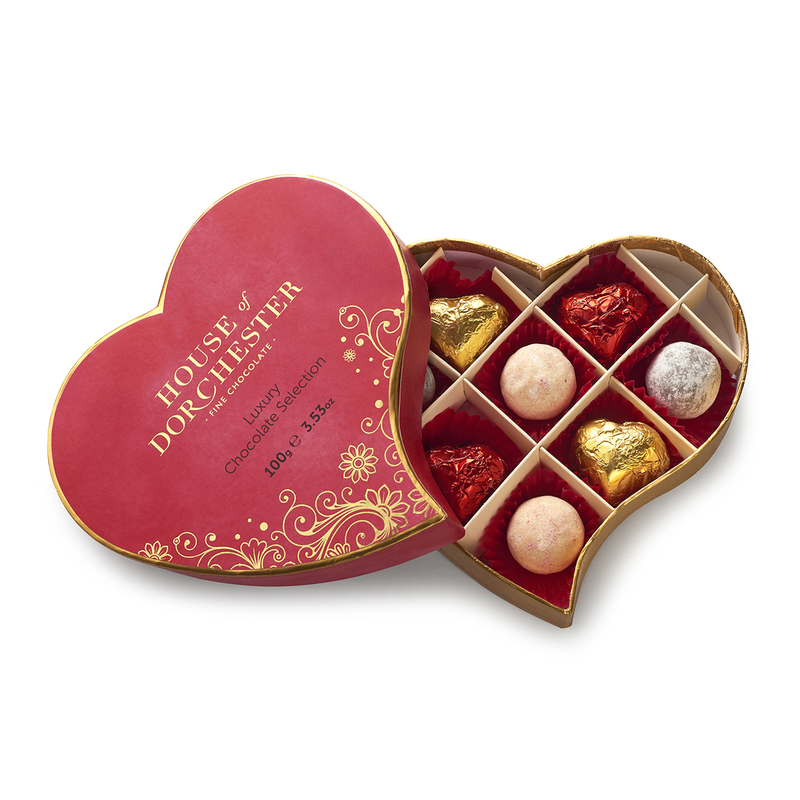 An assortment of milk, dark and white chocolates including Salted Caramel balls, Raspberry Truffle balls, Milk Caramel Heart and Dark Caramel Heart. 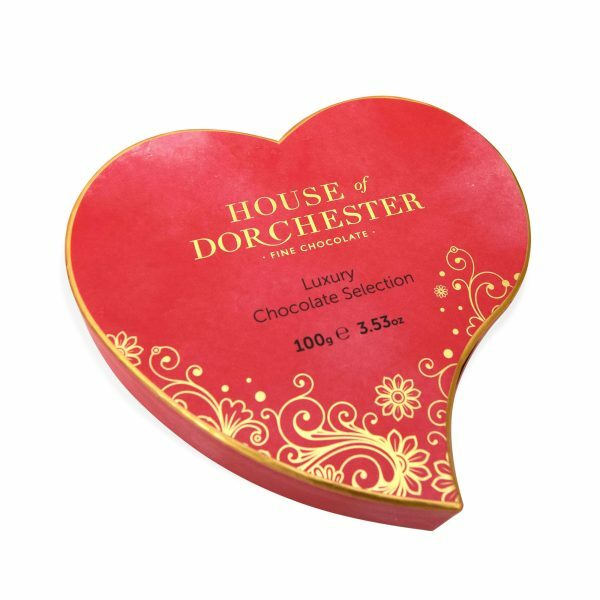 Packaged in a beautifully watercolour and gold foil printed bespoke heart shaped box. Sugar, glucose syrup, cocoa mass, cocoa butter, whole milk powder, sweetened condensed skimmed milk, palm oil, palm kernel oil, icing sugar, rapeseed oil, skimmed milk powder, emulsifiers (soya lecithin, mono and diglycerides of fatty acids), milk sugar, anhydrous milk fat, freeze dried strawberry powder, sea salt, antioxidant (sodium phosphate), natural flavourings, concentrated apple juice, colour (beetroot red), raspberries, acidity regulators (citric acid, lactic acid). Milk chocolate contains cocoa solids 33.5% minimum and milk solids 20.5% minimum. Dark chocolate contains cocoa solid 70% minimum.